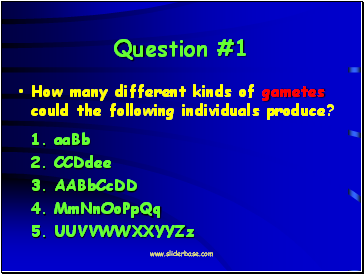 How many different kinds of gametes could the following individuals produce? 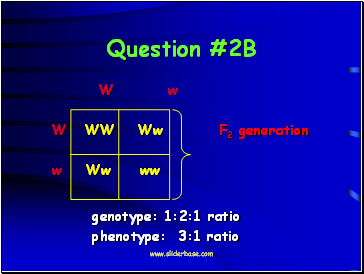 In dogs, wire-haired is due to a dominant gene (W), smooth-haired is due to its recessive allele (w). 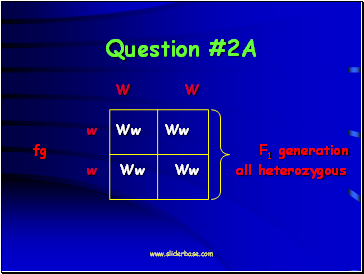 If a homozygous wire-haired dog is mated with a smooth-haired dog, what type of offspring could be produced. 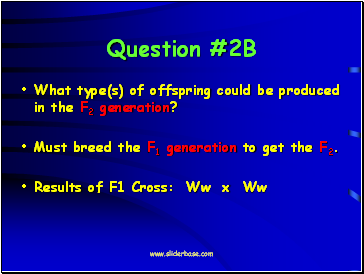 What type(s) of offspring could be produced in the F2 generation? 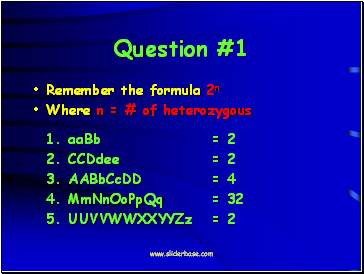 Must breed the F1 generation to get the F2. 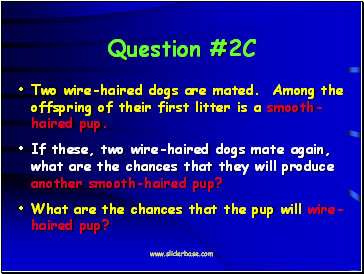 Two wire-haired dogs are mated. Among the offspring of their first litter is a smooth-haired pup. 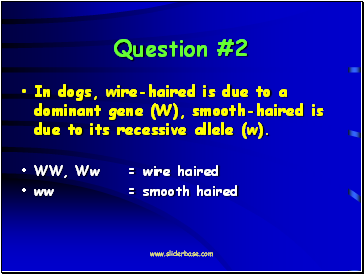 If these, two wire-haired dogs mate again, what are the chances that they will produce another smooth-haired pup? 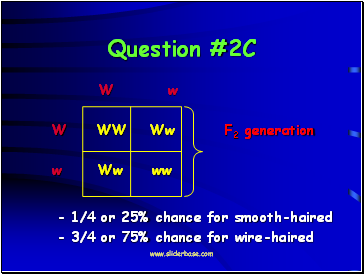 What are the chances that the pup will wire-haired pup? A wire-haired male is mated with a smooth-haired female. 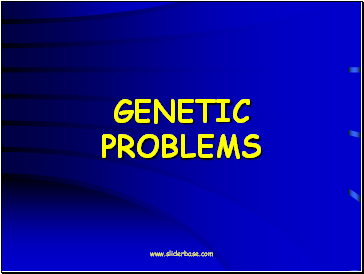 The mother of the wire-haired male was smooth-haired. 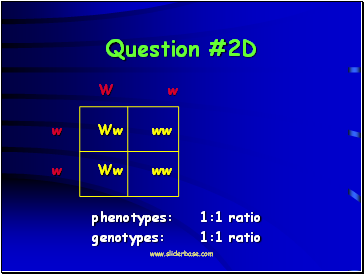 What are the phenotypes and genotypes of the pups they could produce?